The Looper, or Phrase Recorder as it is sometime called, is one of the most popular pedal board inhabitants and not only among guitarists. In contrast to conventional sound-manipulating effects such as overdrive or flanger, a looper can be an important key element for composition, performance, and songwriting. This compact recording devices in a pedal format records short phrases and then play them back in an endless loop. 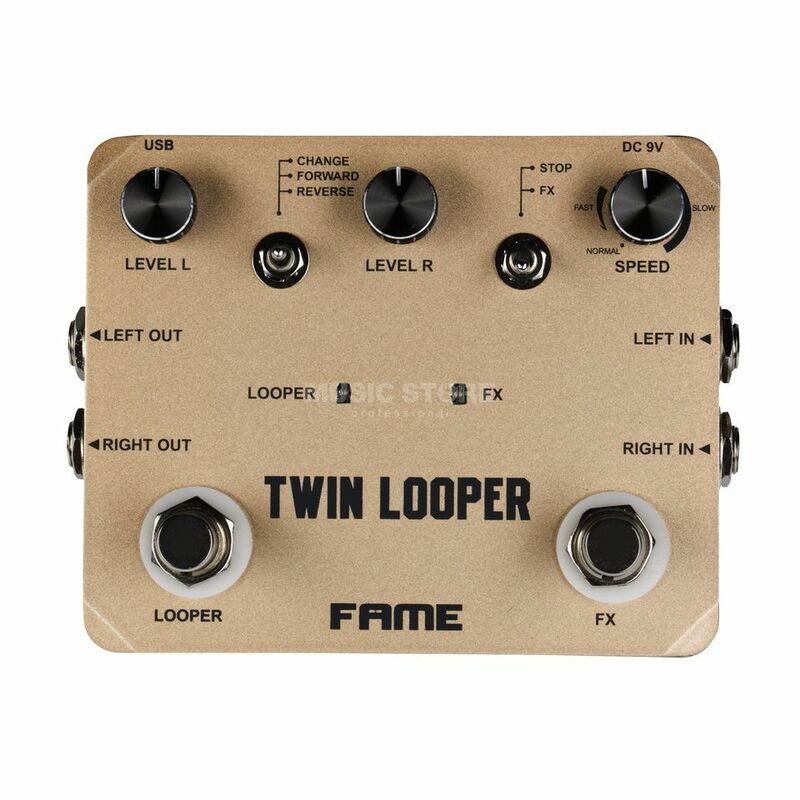 Fames Twin Looper goes one step further and combines the loop function with some specially tuned effects for new and experimental sounds in a live setup. Following the popular Fame Looper pedal in the compact format, the Fame Twin Looper is now available in a stereo version making for even easier handling and the possibility to apply tempo effects to the loop. As with the Fame Looper, phrases of up to 10 minutes can be recorded with an unlimited number of overdubs, which are played-back for jamming, practicing, or performing. The right FX switch can either be used as a stop button for the loop or to activate the previously set effect parameters with regard to the playback tempo and playback direction at the push of a button. Last but not least, a USB port for system upgrades and the import and export of loops in wave format is positiioned on the front.